In 2013, Cecelia Otto traveled the Lincoln Highway from one end of the country to the other, giving concerts of vaudeville-era music in every state she passed through. Her goal on this one-of-a-kind “singing travelogue”: to recreate the music that had once rang out in concert halls across America, reconnecting with the hopes and dreams of a simpler time. 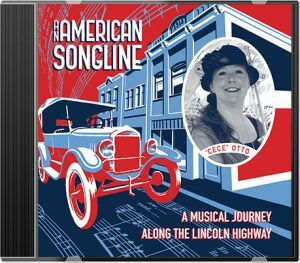 In her book An American Songline: A Musical Journey Along the Lincoln Highway, Cece recounts her incredible adventure state by state. 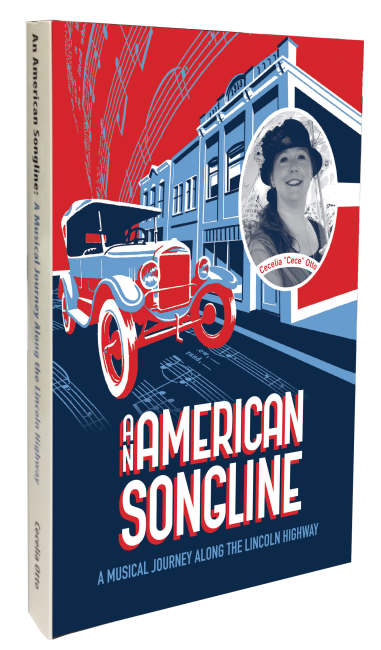 Follow her on a journey from Times Square in New York to Lincoln Park in San Francisco … a journey in which history and music come together to document and preserve a cherished part of American life. Buy the book now from Amazon.com in paperback or Kindle formats. Buy the CD from CD Baby or download a digital copy from iTunes. 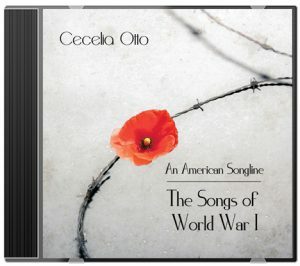 Cecelia Otto commemorates the 100th anniversary of the United States entering World War I with an all-new collection. The Songs of World War I revisits an era when popular songs were as lively a medium as newspapers, reflecting the tumultuous times from a variety of perspectives. Hear patriotic favorites like “You’re a Grand Old Flag” and “Yankee Doodle Boy”; stirring calls to arms such as “Over There”; and songs that explored the war’s heartbreak (“Hello Central, Give Me No Man’s Land”) as well as the humor of life in uniform (“Oh! How I Hate to Get Up in the Morning”). 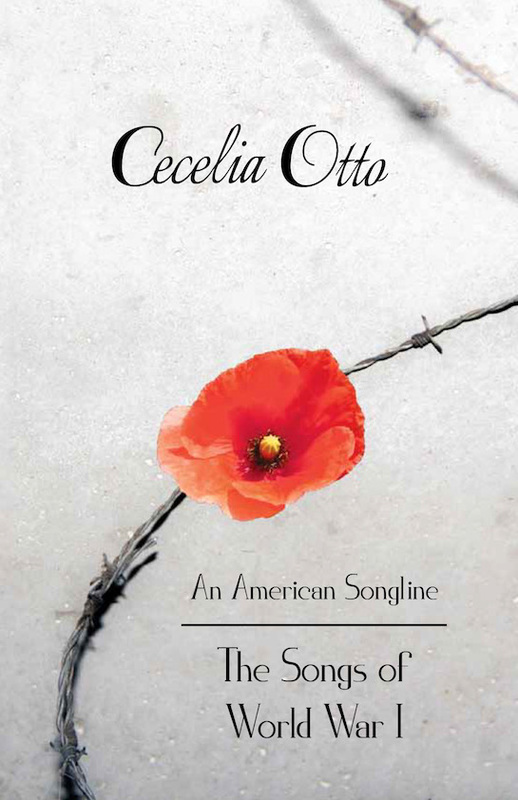 Accompanied by pianist Linda Smith, Cece sings these songs just as they were sung one hundred years ago, with lyrics often omitted by modern interpreters. This booklet is a companion piece to the album. It includes full lyrics to all the songs on the album, along with an introduction to the project and Cecelia’s notes on each song. Rounding out the book are posters and other illustrations from the period, depicting a few of the many ways in which the war was reflected in all aspects of American life. Buy the book in print or Kindle edition from Amazon.